Our array of radio, TV and online sponsorship opportunities aligns your brand with NPR, the best audience in all media, and PBS, the most trusted network in America. Call 804.560.8226 now or e-mail to learn more. NPR listeners are Well-Educated, Affluent, Business Leaders and Active Community Members. YOUR BEST CUSTOMERS. More than 129,000 listeners each week. 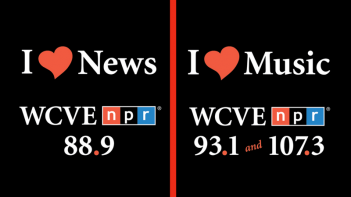 WCVE News ranked #1 Radio Station in Metro Richmond for college grads. 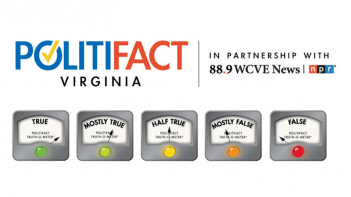 WCVE News ranked #1 Radio Station in Metro Richmond for persons with a household income of $75,000+. If the area’s top decision makers and taste makers are the people you want to reach, then WCVE PBS is the place you need to be on television. More than 180,000 thousand weekly viewers. Core programs include Antiques Roadshow, Masterpiece, Nature, NOVA, Frontline, Globe Trekker and PBS Kids. Includes free production of a 15 second announcement when you become a TV sponsor. Click to watch a sample sponsorship message. The public media online audience is a technologically savvy group of individuals with diverse interests: information seekers, online shoppers, and influencers at home and in the workplace. Web sponsors receive an average of over 25,000 impressions per month. Your logo and message with a click through to your site. Become a sponsor today! Call 804.560.8226 or e-mail.